Product categories of WPC Flooring, we are specialized manufacturers from China, WPC Flooring, WPC Vinyl Flooring suppliers/factory, wholesale high-quality products of Wood Plastic Composite Flooring R & D and manufacturing, we have the perfect after-sales service and technical support. Look forward to your cooperation! 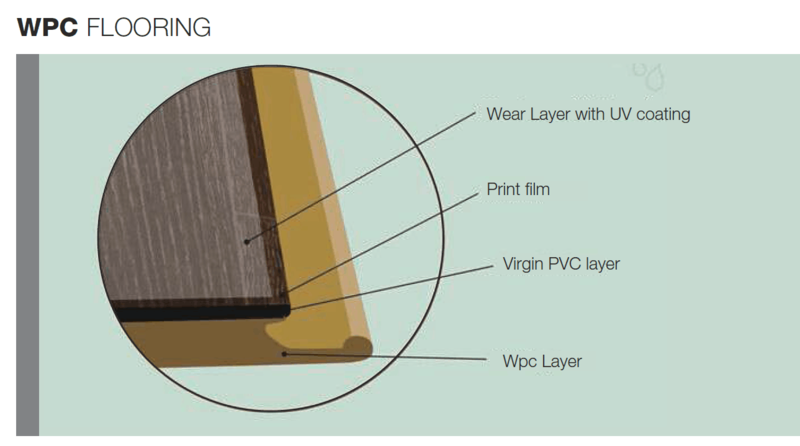 WPC means Wood Plastic Composite. DECNO`S WPC floor Dura is designed to offer better foot feels with more stable quality. WPC Flooring is ideal for every room in the house - including kitchens, basement, and even full bathrooms, because it is 100% waterproofs.